The Hampton Nautical Large Directional Desk Compass is a solid brass lightly distressed reproduction of an antique air-damped compass. The compass needle has long, balanced air paddles mounted perpendicular to the needle to allow stable readings. There is a needle lift thumbscrew to secure the compass needle while in transport. This compass makes a perfect desk accessory for the distinguished office. 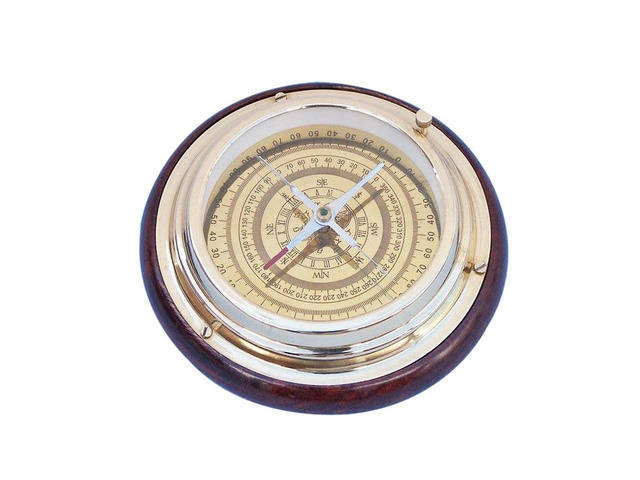 Elegantly crafted, this piece from our marine compass sale is ideal for the businessman, or woman, in your life who has a true love for sailing. A beautiful reminder of life on the open ocean, each of these marine compasses for sale instantly brings you a warm smile. This mariners compass is constructed from solid brass, both historically accurate and aesthetically pleasing, designed to stand up to the corrosively crisp, salt tinged air of the ocean while it shines brilliantly under the sun. 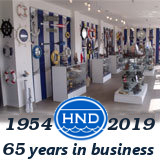 Each of the wonderful devices from our marine compass sale bring with them the amazing history of the compass, stretching back thousands of years, as well as the impact that this simple tool had on the evolution of the modern world.